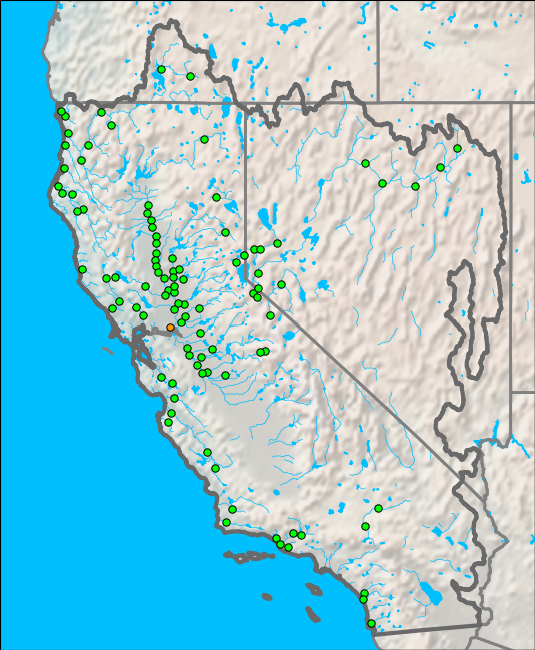 River Forecast Guidance products are issued jointly with the California Department of Water Resources. These products are for guidance purposes only. Select WFO Products for OFFICIAL public issuances of hydrologic watches, warnings, statements, and advisories. Please Note: To ensure that you are viewing the latest hydrograph images, it is recommended that you use your browser's refresh or reload button often to avoid viewing previously cached images. Another recommended option is to set your browser to always check for newer versions of stored pages every visit. See your browser help section for more information related to temporary internet file and/or cache settings. ** NOTE ** Stage is presented in "Feet" while Flow is presented in "cfs". ** NOTE 1 ** The Klamath and North Coast river guidance points are included in the North Coast Forecast Group. ** NOTE 2 ** The Feather Yuba and American river guidance points are included in the Lower Sacramento River Forecast Group. ** NOTE 3 ** The Delta Region, Upper and Lower San Joaquin river guidance points are combined in the San Joaquin River Forecast Group. select a location from the map at the top of this page, and use the date selector on the particular graphical river forecast. The California Nevada River Forecast Center and the California Department of Water Resources are working with NOAA’s National Ocean Service to improve tide predictions for the San Francisco Bay and Sacramento/San Joaquin Delta region. As part of this effort, we need to better understand how the information is this publication is being used. To assist us in this process, please contact us by email at cnrfc.webmaster@noaa.gov or by phone at 916-979-3056. Thank you.